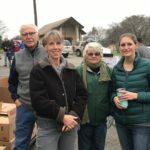 Oak Hill UMC joined its sister churches in the Oak Hill Community Alliance to host the first Southwest Austin Freeze Night Shelter on Friday evening, Feb. 8. We served a hot meal and offered shelter from the cold to a total of 20 guests including 17 who agreed to spend the cold night in the warmth of our Fellowship Hall. The team of volunteer hosts included representatives from Oak Hill UMC, Oak Hill Baptist Church, Unity Church, St. Christopher’s Episcopal Church, and Southwest Family Fellowship, along with representatives from the Travis County Community Center, Travis County Constable’s Office Precinct 3, and The Other Ones Foundation. City Council member Paige Ellis visited the shelter for about an hour that evening, speaking with volunteer staff and guests. All of our guests were lovely, gracious individuals. Several helped with clean-up activities; one serenaded us with his guitar while two left us gifts of gratitude. If you are interested in learning more about the Alliance or the Freeze Night Shelter, or if you are interested in joining the team, sign up in the Connection Station or send an email to Vicki Matustik at vicki@oakhillumc.org and you will be added to the email alerts. 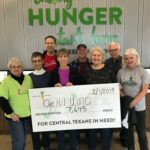 Oak Hill UMC members began 2019 by stepping up to the plate in the fight against area hunger and making generous contributions to help battle hunger at home and around the world. We recently donated more than $1,200 to help the Central Texas Food Bank in response to the government shutdown and recent drive. For each dollar the food bank receives, it reports that it can provide four meals—so your gifts amounted to 4,800 meals for hungry neighbors in Central Texas! We have also raised nearly $700 so far for the upcoming CROP Hunger Walk. These amounts are in addition to the food collections recently sent to the Central Texas Food Bank as well as ongoing food collections to the Travis County Community Center food pantry. Thank you for continuing to be the hands and feet of Jesus Christ. In February we sent two teams of volunteers including a team of eight to the warehouse that processed 9,175 pounds of food resulting in 7,545 meals. 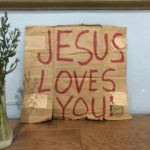 The second team worked at a mobile food distribution site of the food bank, passing out more than 8,000 pounds of food to 71 families that came to the site seeking assistance. We are hoping to have opportunities to serve at the Central Texas Food Bank each month. 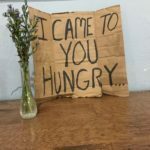 If you have a few hours to make a difference in reducing hunger in Central Texas, drop by the Connection Station to sign up.